When you're focusing on home improvement ideas this year, consider your flooring. Have you taken a good look at it lately? Is it time to restore or replace it? 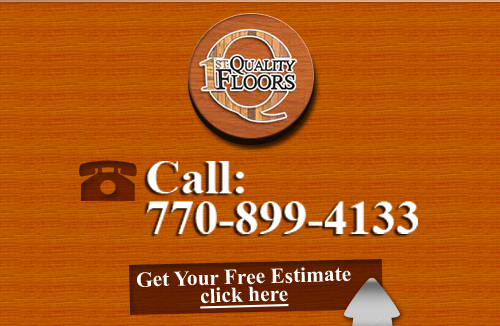 1st Quality Floors is located in nearby Atlanta and is a full service flooring company that specializes in floor installations and floor refinishing. If you're interested in restoring your floor or replacing it, our experts are ready to assist you. 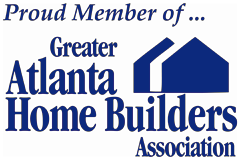 With fifteen years serving the Atlanta area, our company is well known for quality workmanship and the most in value for flooring in Fayetteville, GA.
Our Fayetteville Flooring Company serves both residential and commercial customers for flooring repairs, replacements, and refinishing services. We can also create a custom design for your flooring that you'll cherish for many years. For all your flooring need, call the Flooring Company that many people trust at 1st Quality Floors! If you have a beloved Fayetteville Hardwood Flooring, you know that at some point it will need replacing and can't be refinished again. If your floor has seen the last of its years of service to you, it's time to go ahead and get it replaced. New hardwood flooring is certainly always an option for you, especially since you were always in love with the warm, cozy feeling you get when you have this wonderful flooring in your home or business. Many agree that if replacement is necessary, nothing will do but another hardwood flooring. Let us show you all your options available today. Technologies have come a long way, even in hardwood floors so you'll have choices you may not know about including the great new look of bamboo and cork that give you that same great feeling and can also go well with existing hardwood floors! If you currently have a hardwood floor that's looking bad, you'll want to find a company you can trust to make repairs and refinish it. Our Fayetteville Floor Refinishing will provide you with the best in service in restoring your floor no matter the material it's made of. There isn't a flooring type we don't know how to refinish, so give us a call and let our experts take a look. You may be able to restore it, which is true in many cases, or there may be better options out there for you if your floor has seen the last of its lifetime. Either way, we'll give you only honest advice that you can count on. This is a flooring option that many choose because of its flexibility and ease of care. LVT is luxury vinyl tile, and is a relatively new product giving design options that mimic the look of other materials. You can find Fayetteville LVT Flooring that resembles wood, stone, and other choices. Take a look at all your options and you're sure to find the perfect floor for your home or business! If you are looking for Fayetteville Flooring Company then please call 678-615-7799 or complete our online request form.